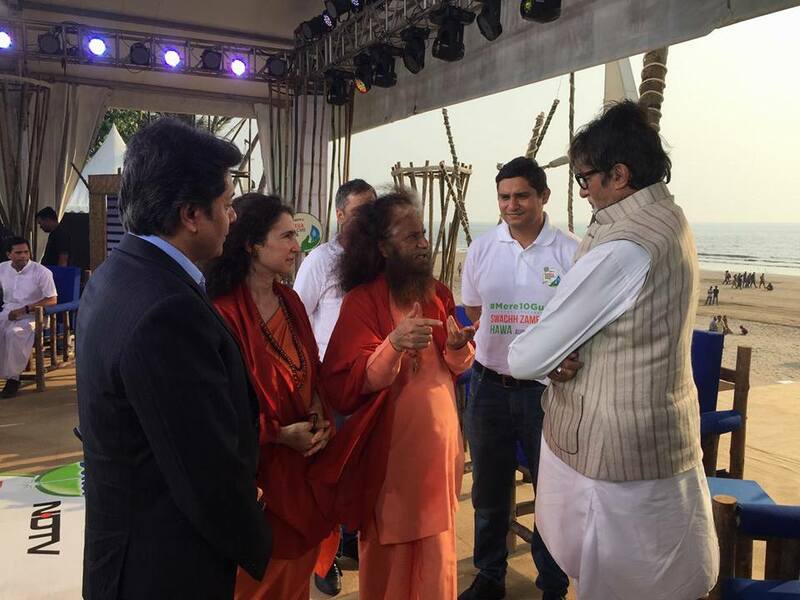 Pujya Swami Chidanand Saraswatiji – Muniji, President Parmarth Niketan, Co-Founder Global Interfaith WASH Alliance (GIWA) and the Divine Shakti Foundation, led a diverse and beautiful delegation of GIWA’s interfaith leaders today on Banega Swachh India NDTV 12 hour Cleanathon anchored by Campaign Ambassador, the legendary Amitabh Bachchan and Mr Vikram Chandra, CEO NDTV. The theme was on Swachh Zameen, Swachh Hawa and Swachh Paani. 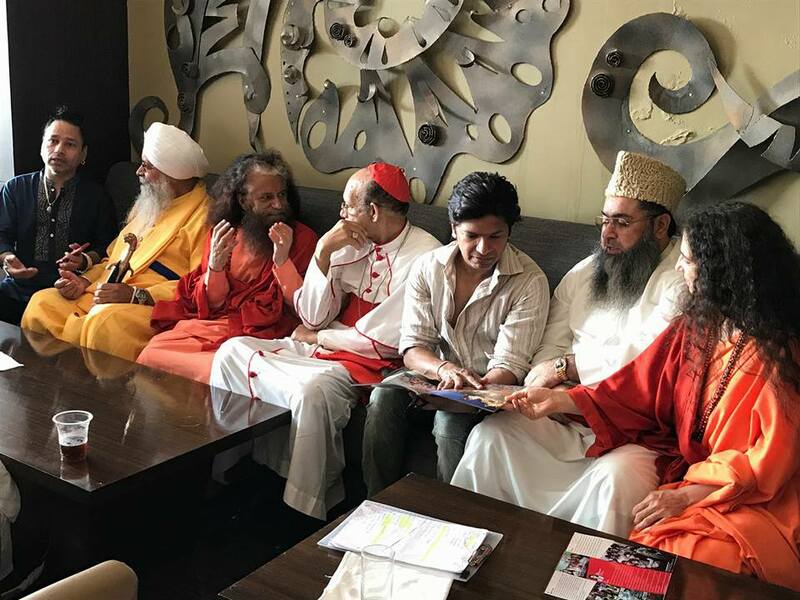 Sadhvi Bhagawati Saraswati, Secretary General, Global Interfaith WASH Alliance, President, Divine Shakti Foundation shared that through the World Toilet College, WaterSchool and massive interfaith Worship for WASH initiatives GIWA is deeply committed to this effort. Shri Nitesh Kapoorji of Reckitt Benckiser set the tone by sharing how RB is working with GIWA and understands the power of faith leaders in driving sustainable behaviour change. 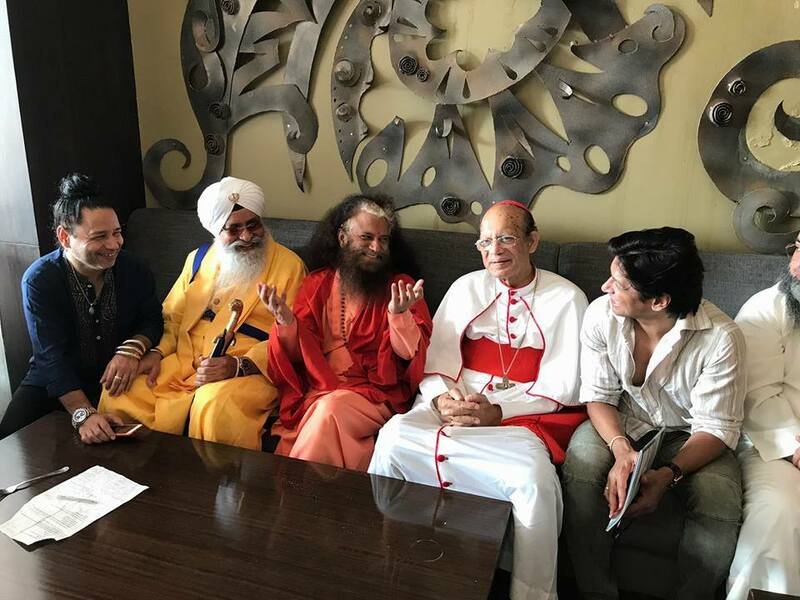 Oswald Cardinal Gracias, Archbishop of Bombay shared the importance of faith leaders to come together for a Clean India. Acharya Roopchandra Muni, Eminent Jain Monk shared the close relationship with Mahatma Gandhiji teachings and the Jain faith as well as their core belief in ahimsa (non-violence). 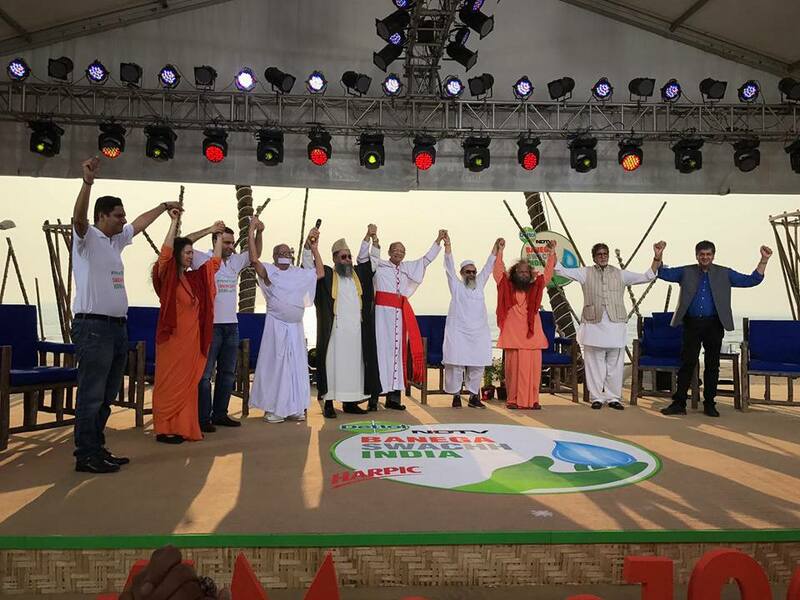 Pujya Swamiji concluded the panel with a beautiful interfaith pledge stating that when we come together as one family, faith leaders from every major religion of India, we illustrate a very strong message that if we can be together then not only our communities and congregations but our entire country can join together to make a Swachh aur Swasth Bharat. Because together we are the solution and when we start with our own homes then the change will be reflected in our world as well. 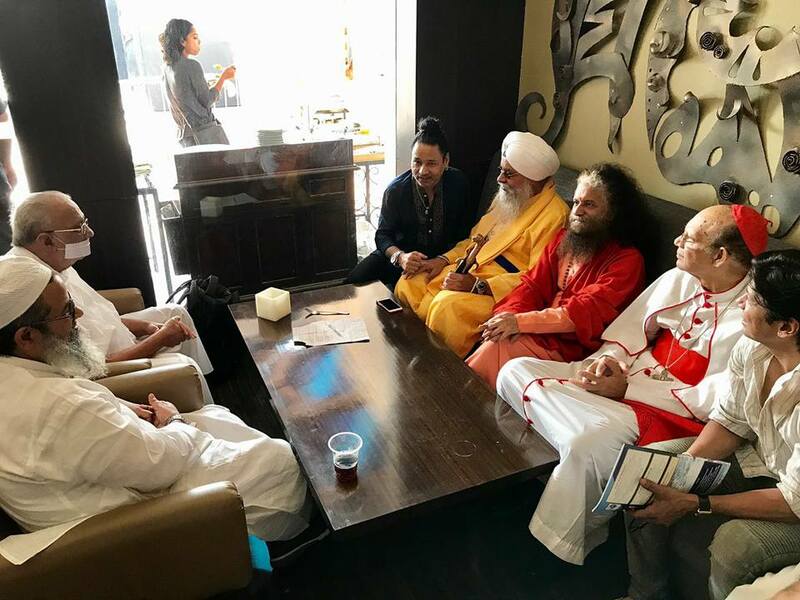 Pujya Swamiji and Sadhviji also spoke in a panel prior to the interfaith panel with a focus on Swachh Hawa and shared several solutions to crop burning and the air pollution that it creates. 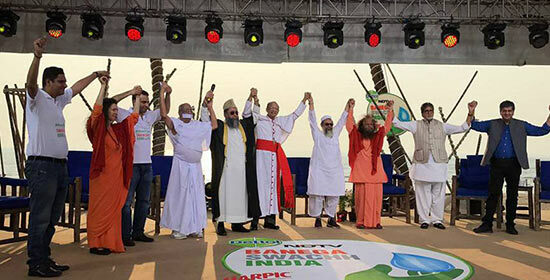 The Cleanathon brought together revered saints, celebrities, singers, 9 Chief Ministers of states, government officials, schools and many sectors of society to raise awareness of this vital cause.